"Letter found on front door for crew: Good Morning and good luck. It is a bit nerve wracking having someone come to rip the roof off the house — good to feel have the best man for the job! I’ll be home at 3:00, see you then with the balance of the payment." "Pete, Here’s the roof pictures. I’m real happy with job. If you need a reference, you can call me." We bought our house knowing we would have to re-roof in the near future. Our old roof was 30+ years old and crumbling apart with the rain and the winds. Our old roof “problem” was a big factor in deciding whether or not we would finalize the purchase of our home. 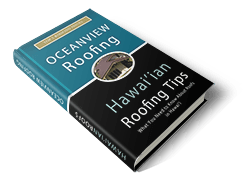 Whether buying, selling, or for everyday living, your roof is your home’s best investment. We are so happy with our new roof, which will probably outlast our home! Verified 5 Star Testimonials. 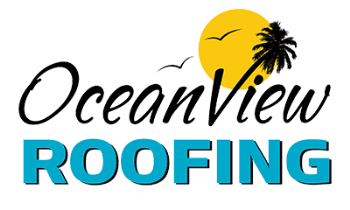 Oceanview Roofing has never had a single complaint in 37 years of roofing.